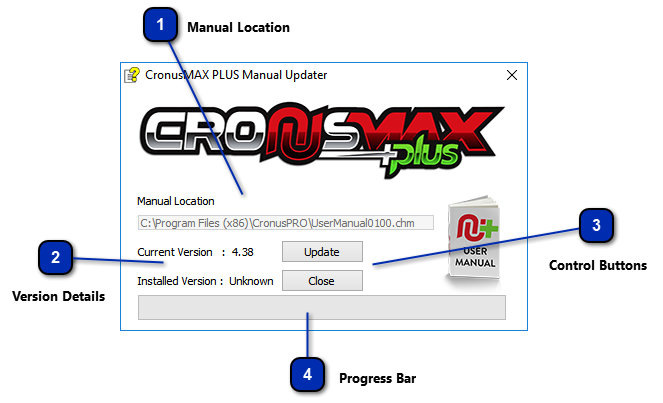 The Manual Updater allows you to quickly and easily update your local hard copy of our manual to the latest version. Updating to the latest version ensure you have the up to date information, and more importantly, the latest GamePack manual pages. We are very active with GamePacks so it is recommended you run this regularly so you have the up to date manual pages. An Internet connection is required to download the latest manual. Once downloaded, the manual can be viewed offline. This text box displays information of where the help file is located on your PC. 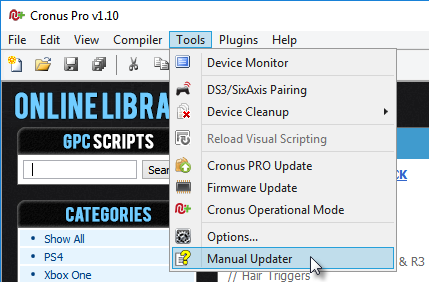 The Current Version number tells you the version of the latest manual and the Installed Version number informs you of the version number which is currently installed on your PC. if it says Unknown then you haven't installed the manual yet and this is your first time. If an update is available, the top button will allow you to update your manual. The Close button will exit. Shows the progress of any update operation.